A choice of three dairy-free white chocolate bars is another sign of how vegan options have improved lately. Not too long back, non-dairy white chocolate was a novelty, but now Sweet William, Plamil and Organica are battling it out for your custom. 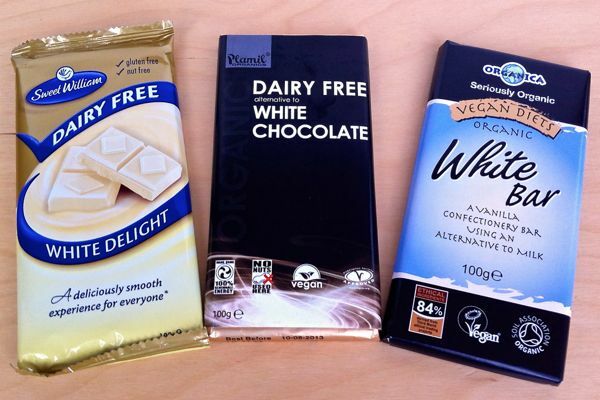 As we like to do here at Veganoo, we unwrapped the three bars and put them to the Taste Test. 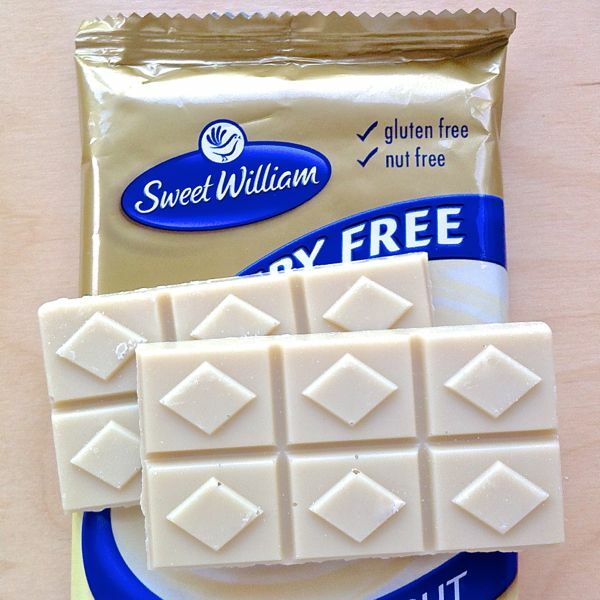 The sweetest of the three bars on test. 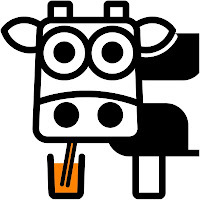 Creamy yellow in colour and the most like traditional dairy white chocolate in appearance. Melty in the mouth, but just a tiny bit floury. Enjoyable chocolate, especially for kids. 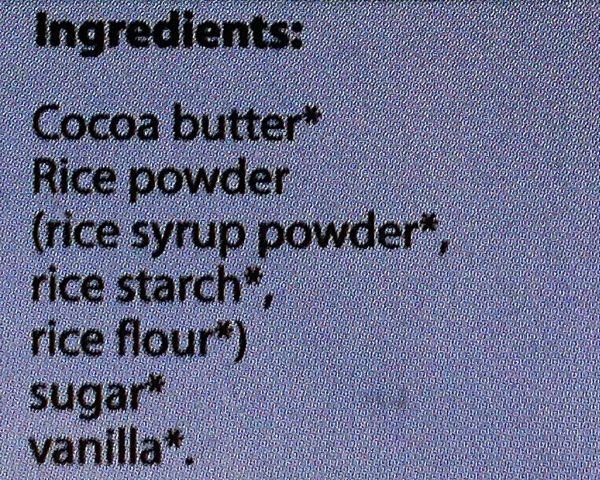 Not very convincing as white chocolate. This stuff is actually pale brown and is too hard. Bland flavour but with an odd aftertaste. Not sweet enough or white enough. Like the Organica bar, the chocolate is flecked with pieces of vanilla bean, but this doesn't really add anything. The smoothest of the three with a real melt-in-the-mouth texture. Very white in colour but flecked with vanilla bean. Not as sweet as Sweet William, but more of a grown up taste. This is the best of the three and the winner of our Taste Test. 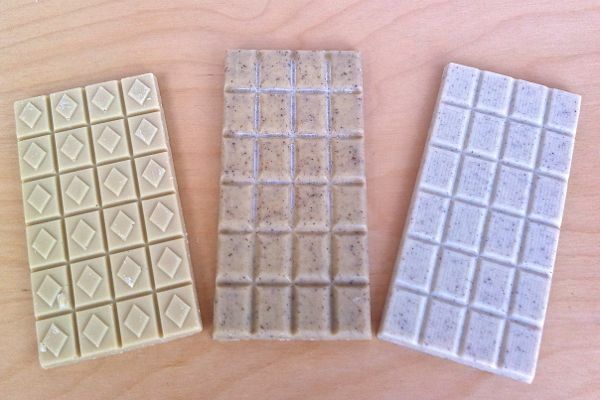 Three colours, three textures, three flavours...the three brands are surprisingly different interpretations of dairy-free white chocolate. 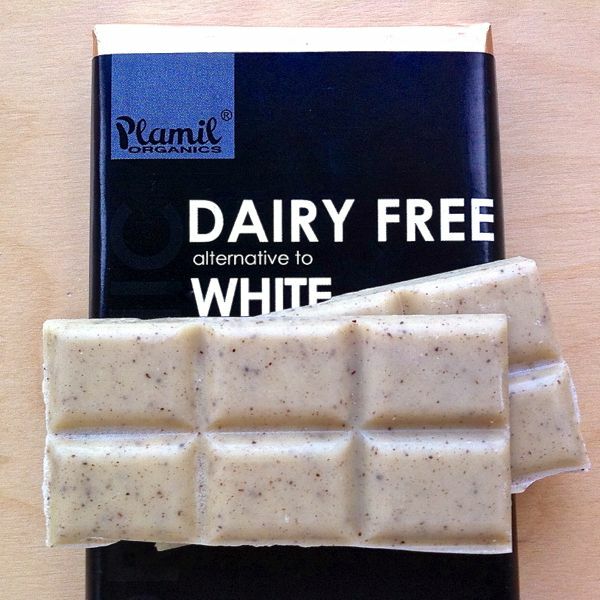 We're a little disappointed at the Plamil product as some of their other chocolate is pretty good, so they obviously know their stuff. 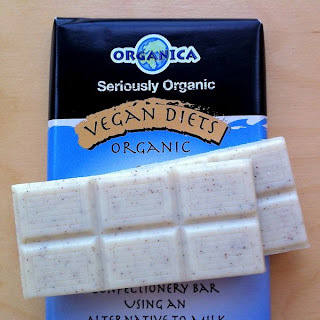 The other two bars are great, and the choice between Sweet William and Organica is really a matter of how sweet your tooth. Here are the ingredients panels from the bars we reviewed. Sweet William is definitely my favourite. I tried the Organica years ago but remember thinking that while it was nice it didn't taste like white chocolate. 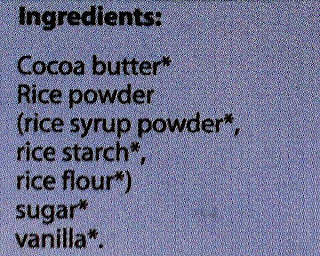 I've never tried the Plamil but I'm now in no hurry to!